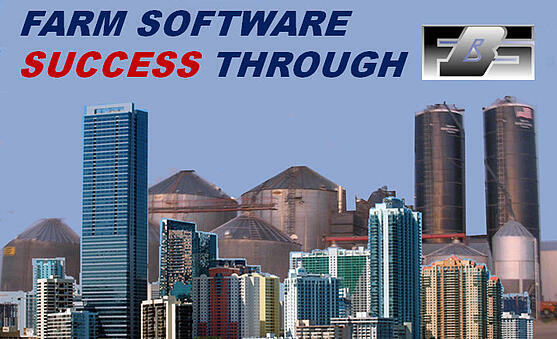 How does switching to FBS integrated software lead to success? Reason #1: Know your true cost of production. FBS’s E.CLIPSE Management Accounting intelligently allocates overhead as well as direct costs so you can more effectively manage and market by farm, crop, field/group and department/activity. By combining your production, accounting, and inventory control into a comprehensive database you’ll simplify and automate data entry while making better-informed and timely decisions. Reason #3: Connect and collaborate via "cloud control." Our secure, multiuser cloud connection option allows your production and financial teams to collaborate through your own private integrated database. Reason #5: The proven agricultural solution. Our accounting foundation is built on the Farm Financial Standards and recommended and supported by the America’s leading ag financial consultants, lenders and CPAs. Reason #6: Don't get trapped in canned accounting. Don’t force your unique operation into a general accounting program that just tracks dollars. With FBS you’ll be capturing essential agricultural units (weights, rates, purchase/application quantities) as well as meaningful management segments (fields, locations, groups and ownership splits). Cover all your financial bases. Only FBS offers simultaneous cash, accrual, management and market value financial reporting plus consolidated statements and data entry between companies. Find out how FBS integrated software provides the "true picture" of your business even as it eases your workload so you can make knowledgeable, timely decisions by watching this seven-minute video. You'll also learn about eight critical information points on your farm and how to integrate them to reduce waste and achieve better cost control through managerial accounting of every phase of your business. We've helped thousands of operations discover the advantages of an automated, integrated ERP management platform. We look forward to answering questions and scheduling a free consultation and webinar at your convenience. Just complete the form on the right or call us directly at 800.437.7638.